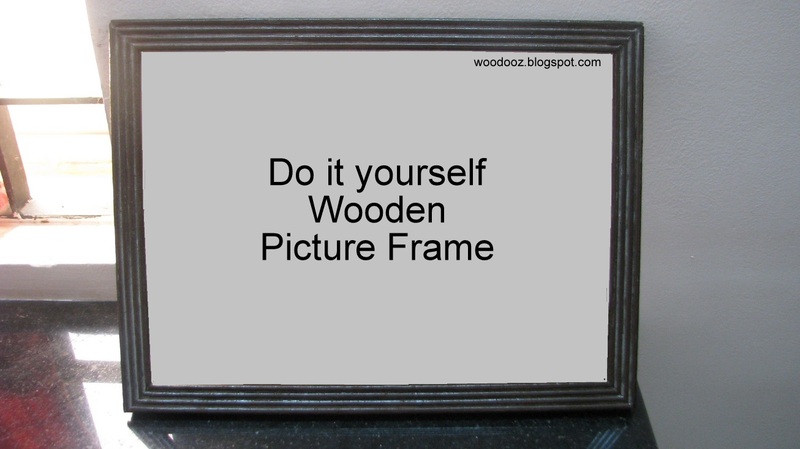 Here is a short DIY tutorial on how to make your own wooden DIY photo / picture frame . These photo frames are built completely with wood materials that are easily available at the local plywood store. All the materials, supplies and tools required were bought at a local hardware store in Chennai. Only tool that is used is a hack saw blade which is available for Rs.2/- at the hardware shop. 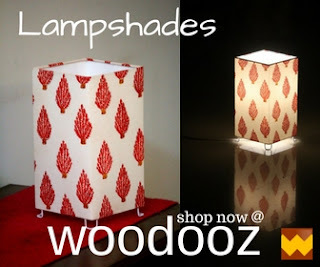 Ready made wooden frame moulds are also available which come with the groove for glass / picture insertion. The wooden stick will form the base of the photo frame and will not be visible from the front. The frame face (Beading) will be glued onto this base. Cut the wooden sticks to the desired length using a hack saw blade. These cut sticks will be glued to each other to form a rectangular base onto which the frame face will be glued. The inset dimension of the rectangular base should be equal to or slightly higher than the dimension of the photo being framed, else the photo will not fit into the frame. 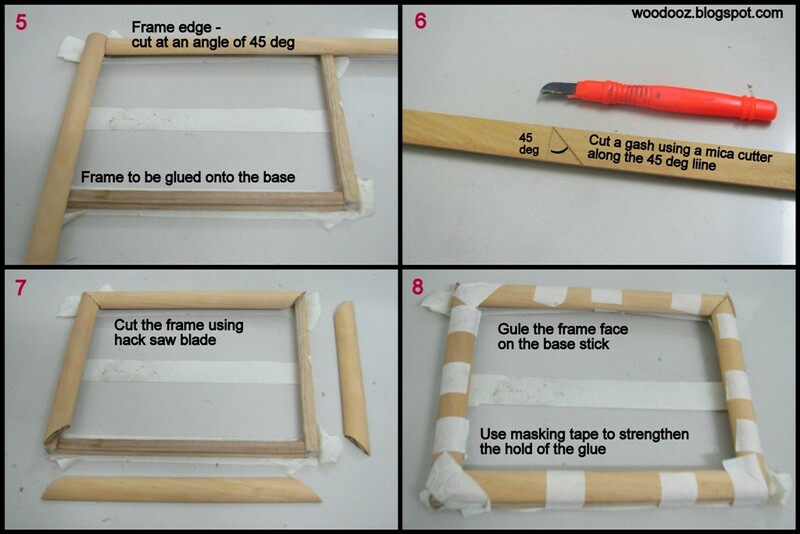 Generously apply glue on the edges of the wooden sticks and glue them together. Use masking tape to hold the sticks together while the glue is drying. Allow for at least 3 hours before the glue can completely dry. Allowing it to dry ensures the glue bond is much stronger. Before cutting the frame, mark the 45 degree angle using a set square. To ensure the hack saw blade cuts along the 45 degree line, create a ridge or groove along the line using an Xacto knife / pencil knife or a mica cutter. This will ensure the blade does not slip while cutting and will result in an almost perfect 45 degree cut. Cut the 4 frame sticks to the desired dimension using the hacksaw blade. Generously apply glue both on the rear of the frame and the rectangular base. 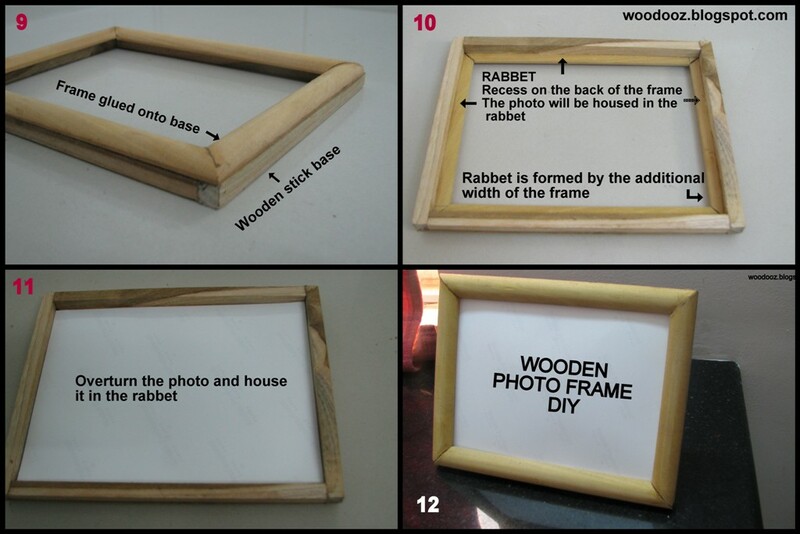 Use masking tape to hold the frame tightly onto the wooden base. Allow for at least 3 hours of drying time. Overturn the picture and place it neatly on the recess formed at the rear of the frame. FAQ: What is Miter Joint? A Miter Joint (mitre in British English), sometimes shortened to miter, is a joint made by bevelling each two parts to be joined, usually at a 45 deg angle, to form a corner, usually a 90 deg angle. Common applications : Picture frames, pipes and molding. Curious to know how the photo frame has been made to stand upright on the table ? Join us on FACEBOOK just so you don't miss the follow up post on making the stand using wood / cardboard / cork board and a hinge. 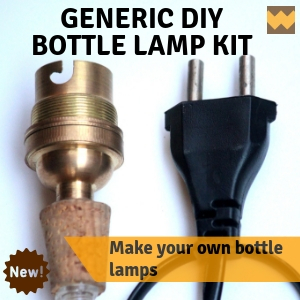 Meanwhile, let me know what you think of this DIY. Do you think there is a better way to do this ? 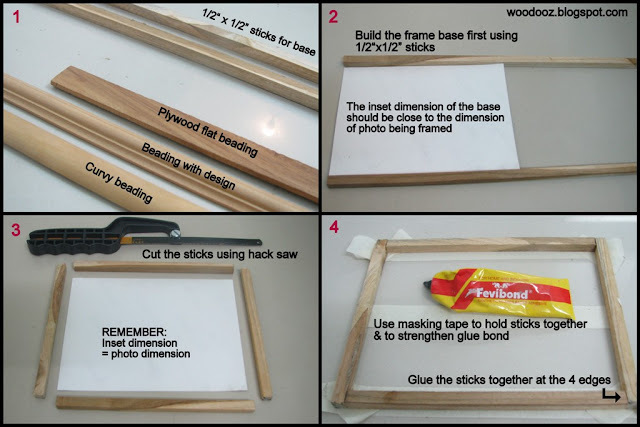 Are there alternatives to a wooden stick for making the frame ? Have you done a DIY frame post yourself ? 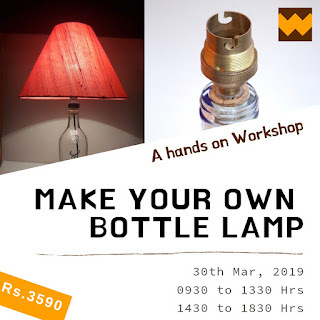 Do share the link. Would love to know your methods.